-Nutritionist lead discussion regarding the impact of stress and digestion, stress and how it affects weight loss, and nutritional guidance designed to optimize nourishment in the face of stress. Each week will be different, and will further you on your journey to gain peace and wellness through meditation practice. There is a lot of buzz these days about meditation. Are you wondering what all the fuss is about? Many of us live our lives at breakneck speed. Between juggling family and work time, and the constant attachment to the outside world via technology and social media, we have lost the beauty of being present in the moment. It’s a struggle that is common to many. Meditation practices are useful in helping us re-learn how to “just be”, and to reconnect to our thoughts and feelings. Whether you are following doctor’s orders, working through a painful life experience, are seeking calm in a storm of busy-ness or are interested in pursuing greater self-understanding and increased intuitive powers, meditation can be a powerful and helpful tool. As many of my clients and friends know, I have been on an ongoing mission to find more calm and peace in my life. I have explored online meditations, yoga, and even had an accountability process set up with a good friend (we texted each other each morning with one line “meditated. 10 minutes” to try and help keep each other on track) . Last year, I had the pleasure of attending a meditation retreat at the incredible Lotus Heart Center in Brighton, Ontario. Sylvia finds deep joy and fulfillment in guiding others on their Spiritual path through ancient earth wisdom teachings, relationship coaching, energy work and meditation. Sylvia’s vision is to assist in the raising of human consciousness through self-awareness, intention and mindfulness from the Heart. As a holistic nutritionist, I am dedicated to helping people discover an optimum path to wellness for themselves. Each individual is unique and different. The path and scope of opportunities certainly extends far beyond what foods we eat. That is a critical component for sure. There are many other lifestyle aspects that can contribute to our well-being. Limiting or managing stress plays a significant role in our well-being. I am very excited to announce that Sylvia and I will be hosting a 3-session outdoor meditation series in September. 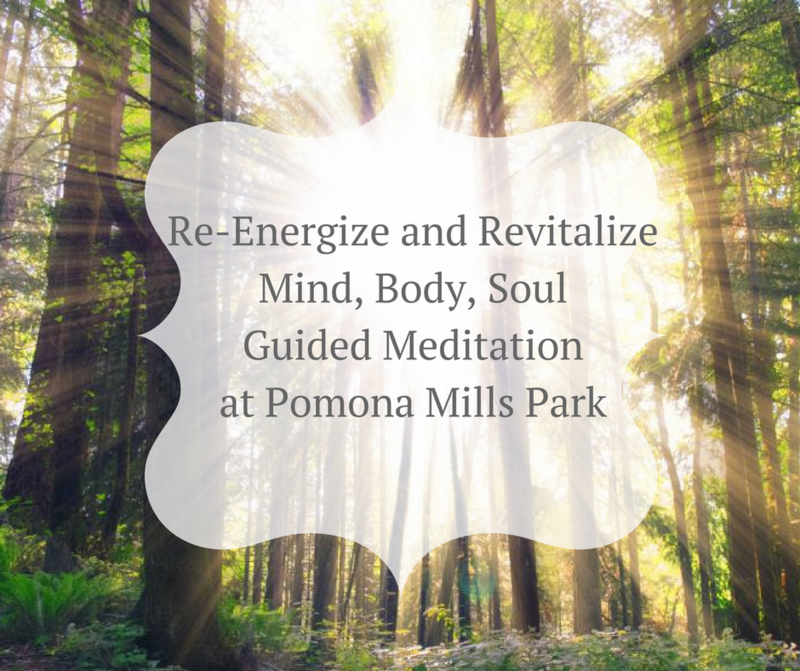 It will be held at the beautiful and serene Pomona Mills Park in Thornhill, Ontario. -Nutritionist lead discussion regarding the impact of stress and digestion, stress and how it affects weight loss, and an overview of nutritional guidance designed to optimize nourishment in the face of stress. Bring a yoga mat or blanket and a bottle of water!